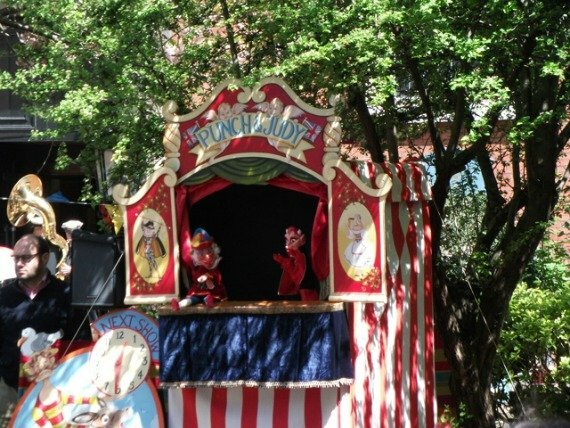 It’s that time of spring to gather in the lovely garden of St. Paul’s Church in Covent Garden for the annual Covent Garden May Fayre & Puppet Festival! This Sunday, May 11th, the garden will be transformed into a grand and colourful celebration for the 352nd anniversary of the first sighting by Samuel Pepys of Punch in England in May of 1662. (You didn’t think there could be fun and games without a wee bit of history in there, did you?) The Covent Garden May Fayre commemorates this first recording of Punch very near the spot where Pepys first saw Punch. To celebrate, Punch and Judy professors and puppeteers from all over the UK will be performing throughout the day. A fun procession starting at the St. Paul’s Church gardens led by the Superior Brass Band through the Covent Garden neighbourhood. St. Paul’s is called the “actor’s church” and Sunday will see a special service with Rev. Simon Buckley and Punch in the Pulpit. 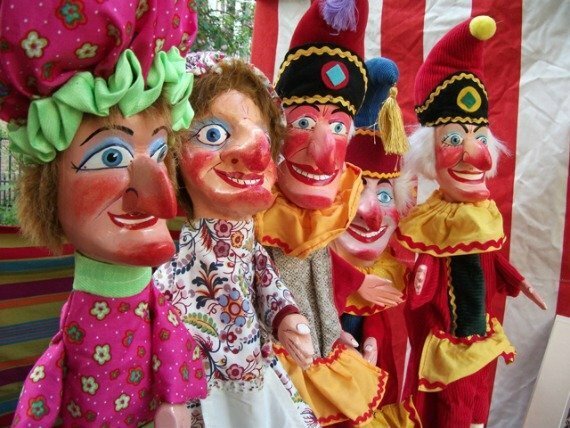 Enjoy Punch and Judy shows, puppet shows and workshops, stalls, refreshments, folk music by The Lost Marbles String Band, Maypole Dancing and clown shows. NEXT: Attendant – One of London’s Quirkiest Coffee Shops! Posted on Saturday, May 10th, 2014 at 10:02 am in What's On. You can follow any responses to this entry through the RSS 2.0 feed. You can leave a response, or trackback from your own site.